Tip and example files using FileMaker Pro. 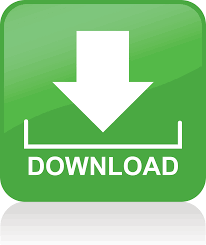 Download all in Zip format. FileMaker Pro 7 or higher is required. If you have a good tip or sample file in FileMaker Pro, please Send it to us. Created this little file for my daughter to practice math. Check it out. Set up your database to view records 4 across in Browse mode. Calculate distance based on the latitude and longitude of two points. Includes FileMaker calculation fields and an efficient Custom Function. This file demonstrates how to get borders around sliding fields to resize correctly. Tired of having to use MULTIPLE pop-up menus to narrow in on a selection? Here is a technique that allows you to drill down to your selection in ONE pop-up menu. Ever click into a Pop-up Menu to find that the option you need is not there? Wouldn't be nice to have a "New..." option right in the menu. Check out this tip?it uses a script trigger to prompt a routine to add a new item to the options list. This sample solution shows a handy way to incorporate PRICE BREAKS into your invoice system. How to cover your date range needs. A mock-up sample solution that shows how to do Quotes with unlimited REVISIONS. With FileMaker's new relationship engine, you can access data multiple tables away from the starting table as long is there is a valid relationship. A sample file demonstrating some SCRIPT LOOPING techniques. An interesting SURVEY file that is worth a look. A very basic data schema for a Work Order table. In response to a "How do I...?" post in FMForums.com, a routine that generates a related record for every week in the year for each employee. Check it out.